I've recently treated myself to quite a bit of new makeup, skincare, and hair care products as I was gifted many gift cards after graduating from college. Today's post will be a haul post showing all the goodies I picked up from ulta a few weeks ago. Expect more thorough reviews of these products in the future after I've had sufficient time to test them out! Nyx Faux Black Eyeliner in Onyx: Nyx recently launched another new eyeliner line in which each shade is a darkened version of a color. This is the opposite to their Faux Whites liner range where each liner is a light pastel color. I love incorporating a pop of color in my eyeliner but tend to prefer how darker shades look on my lids over lighter shades, so the Faux Blacks line is right up my alley! I picked up the shade Onyx, which is a rich forest green color. Clinique Sun-Kissed Face Gelee: If you read my review on Monday, you'd know that I fell in love with this gel bronzer after using up the small sample I had of it. My heart was telling me that I needed the full sized product in my life, so I took advantage of Ulta's free gift with a purchase from Clinique and received both this and a generous sample size of a face cleanser! Be sure to read my review to hear my thoughts on this amazing bronzer. 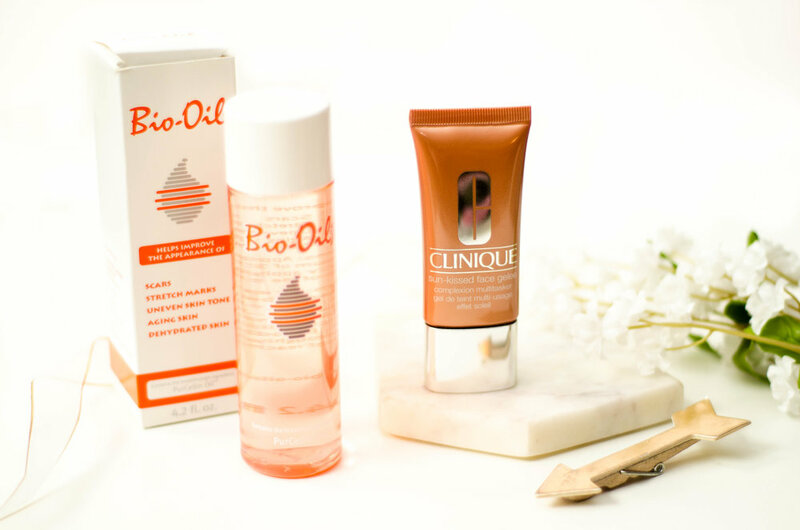 Bio-Oil Multiuse Skincare Oil: My life has been going through the throes of stress lately and my face has been taking the brunt of it. I've been having a lot of problems with breakouts, a very rare occurrence for me, as well as texture and uneven tone. Bio oil had fantastic reviews on Ulta's website, so I decided to give it a shot. It claims to help fade scars, stretch marks, and uneven skin tone, so I have super high hopes for this puppy! I will keep you updated on my skin progress as I continue to have it on trial! 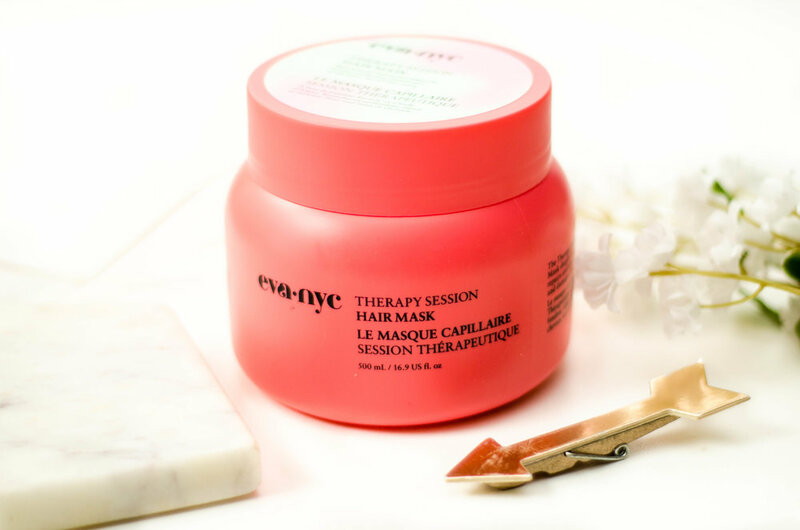 Eva NYC Therapy Session Hair Mask: A while back from now, I mentioned how I had used up the several samples I had of this hair mask. I was devastated when it was gone, so I ordered the ginormous full sized version of the product while it was on sale. This hair mask is the favorite that I've tried when my tangly hair is in deserpate need of a deep conditioning session. I am so happy to have it back in my possession again! J Cat Beauty Sunset Boulevard Eyeshadow Palette: I have never heard anyone talking about this palette and for the life of me I cannot figure out why that's the case! J Cat Beauty is a drugstore brand but the shadows are amazing quality. If you've tried drugstore eyeshadow palettes in the past, you likely know that they have the shadows tend to be dry and and patchy. That is not the case with this one! The shade selection is stunning, there's a perfect mixture of matte to shimmer shades, and they all perform equally well. Keep your eyes peeled for a review in the near future - the powers of this palette that so far have been hidden must be revealed to the world! That concludes my Ulta haul! Although some were repurchases of products I have already fallen in love with, I'm even more excited to play with the new goodies I picked up! Do you see anything here that catches your eye or any questions about these products? Leave a comment below!